To support healing connection and restorative communities both inside and outside prison through the strategies of Nonviolent Communication, mindfulness, racial equity and anti-oppression. Together we shift from punishment to restoration, from oppression to equity, and from apathy to empathy. Freedom Project seeks to partner with individuals and communities to identify and remove barriers to these values. Accountability We take responsibility for our impact regardless of our intention and seek to be transparent with ourselves and the community. Connection Freedom Project embraces authentic relationships, with self and with others, being mindful of the impact we carry from society and systems of oppression. 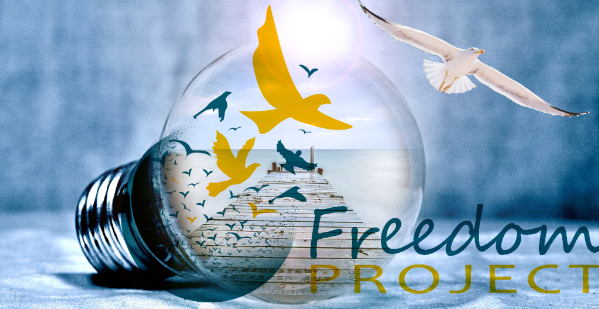 Empathy Through connecting with the essential humanity and value within ourselves and others, Freedom Project believes in the power of empathy as a healing force. Equity We value community in which the quality of life, access to resources, and levels of acceptance and contribution are no longer determined by our labels and identities – such as race, class, gender, sexual orientation, faith, or whether or not we have been incarcerated. Addressing systemic, institutional, organizational and personal racism is integral to accomplishing our mission. Racial equity occurs when racial identity no longer predicts a person’s quality of life. Racial justice is equity in action. We seek to address both the way inequity is exhibited and its causes. When persons and structures are actively reinforcing racial inequity and when they passively failing to undo the causes of racial inequity, we work to transform policies, practice, attitudes, and cultural messages. And we have much to do. Our first goal is to work toward becoming an anti-racist organization. We utilize the “Continuum for Becoming an Anti-Racist Multicultural Institution” (with permission from Crossroads Anti-Racism Organizing and Training)* to guide our strategies, organizational development, and evaluations. To do this, we design and implement a strategy, timeline with benchmarks, and evaluation process for meeting those goals. This work is our continuing and ongoing practice. Train volunteers how to facilitate in a racially-equitable way. Ask people to look with compassion and equity at how they view people who have been incarcerated. * © Crossroads Anti-Racism Organizing and Training, Chicago, IL: Adapted from original concept by Bailey Jackson and Rita Hardiman, and further developed by Andrea Avazian and Ronice Branding; further adapted by Melia LaCour, PSESD.